Recycling is not limited to paper, plastic glass and cans. It can, in fact, include a wide variety of other household trash items. In fact, with some creativity, some planning and consistent effort, almost anything you get rid of can actually be recycled, reused or repurposed. And this is far more beneficial than our normal choice to simply toss out everything we see as "trash." In fact, every appliance and piece of furniture in your home can be dismantled and the various components recycled. This is in addition to the smaller items that are typically reused or recycled. Knowing that just about anything you need to get rid of in your home can be recycled is a good thing since we still lagging when it comes to recycling. Of the 8.3 billion metric tons that has been produced, 6.3 billion metric tons has become plastic waste. Of that, only nine percent has been recycled. The vast majority—79 percent—is accumulating in landfills or sloughing off in the natural environment as litter. Meaning: at some point, much of it ends up in the oceans, the final sink. If present trends continue, by 2050, there will be 12 billion metric tons of plastic in landfills. That amount is 35,000 times as heavy as the Empire State Building. The problem with some materials such as plastic is that they have an extremely long life. IN fact, according to this study, plastics take more than 400 years to degrade. That means that most of it will still exist throughout our lifetimes in some form since only 12 percent has been incinerated. 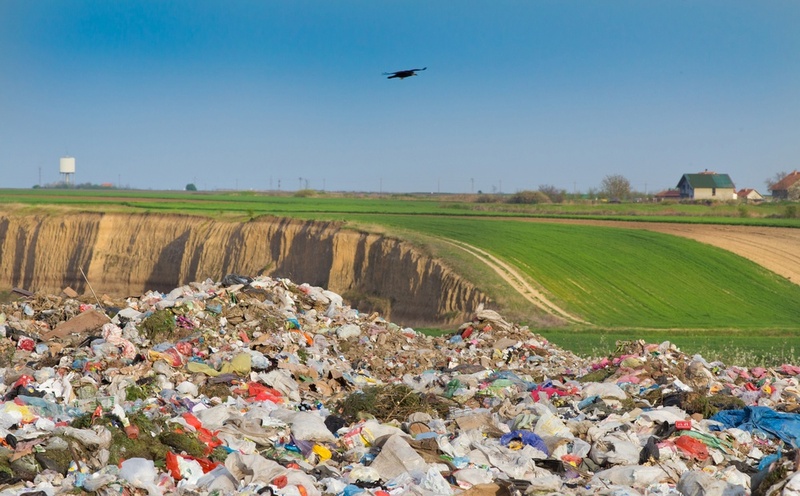 The World Watch Institute noted that, while the U.S. generates more waste than any other country in the world, it only represents 5 percent of the world's population. And on a global scale, worldwide waste is expected to double in the next 15 years. Recycling is More Than Just "Being Green"
Our municipal waste disposal services have been evolving to reflect the push to "be green." Most of us now have different trash bins, or bin compartments, for different materials, all to be recycled if possible. Recycling and green junk removal is being promoted just about everywhere in ads, public service announcements, and signs. And there is much more of your household junk and excess trash that can be disposed of by recycling. So what are the benefits of our improved recycling efforts? Sometimes we find that we need to dispose of larger household items like furniture or sports equipment. In fact, almost everyone finds themselves needing to get rid of excess stuff at some point because our things break, wear out, or simply become unusable or outdated. Almost everything that ends up in the municipal waste stream could have been recycled, repurposed or reused. In fact, one of the great things about household trash is that there are a large number of common materials that make up the bulk of our household trash and junk that should be. By being aware of these waste materials and being conscientious in your junk disposal practices you can make a huge difference in the overall recycling efforts. Too many people, unfortunately, simply toss things into the trash. This just adds to the municipal waste stream and eventually into a local landfill. The good news is that, with a little advance planning and forethought, much of what we normally think of as trash can be disposed of at a recycling center. Most of us are familiar with the common materials that get recycled from homes: paper, plastic, aluminum cans and glass. But keep in mind that there are a number of other household items and materials that can be recycled, reused or repurposed. A great benefit to having a professional firm remove your household and other trash is that you won't have unsightly junk and debris taking up space. Typically, you can have it taken away that day or the next day, and sometimes even from inside your home so you don’t have to put it out in your driveway, parking lot or loading dock. 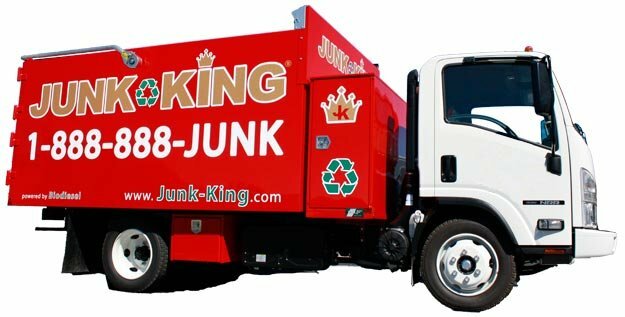 Junk King is proud to be North America’s greenest residential junk removal service. We pioneered recycling based junk removal in 2005 and have been going greener ever since. We sort each and every job for metals, e-waste, paper, household goods, textiles, furniture and appliances, in our recycling warehouses. Our team specializes in trash and junk removal and we can be at your home in mere minutes, so call us today! Our crew is fully insured and well-trained, so you can trust them to get rid of your unwanted items in a professional and courteous fashion. One of the best things about hiring Junk King is that we recycle a much of the material we pick-up. This is proof of our commitment to being an eco-friendly removal service.